296 pages | 6 B/W Illus. 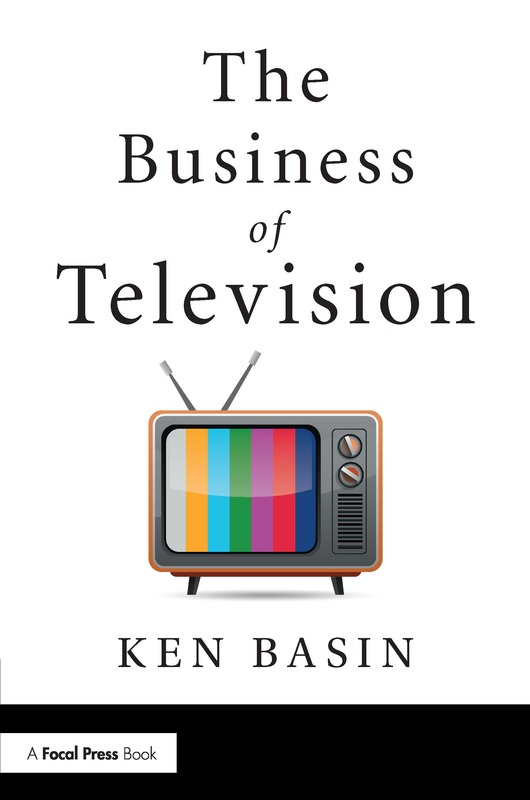 In this book, esteemed television executive and Harvard lecturer Ken Basin offers a comprehensive overview of the business, financial, and legal structure of the U.S. television industry, as well as its dealmaking norms. Written for working or aspiring creative professionals who want to better understand the entertainment industry — as well as for executives, agents, managers, and lawyers looking for a reference guide — The Business of Television presents a readable, in-depth introduction to rights and talent negotiations, intellectual property, backend deals, licensing, streaming platforms, international production, and much more. The book also includes breakdowns after each chapter summarizing deal points and points of negotiation, a glossary, a list of referenced cases, and a wealth of real-world examples to help readers put the material into context. "This is the book I have been waiting for…highly readable and forward looking, providing a coherent overview with enough specifics to be of genuine practical value, delivered from the inside perspective of a scholarly television executive currently working at the highest level." "Ken Basin has created a timely and unique book that perfectly balances a big-picture view of the dynamic television industry with practical details about its business and legal processes. This is an essential reference source for anyone studying or engaging in professional activities related to television production and distribution for all media platforms." "Ken Basin has given us a great primer in the nuts and bolts of the rapidly evolving television business – told with insight, brevity, and wit. Basin's experience on both sides of the buyer/seller equation really shows through, and makes this book a valuable tool for anyone who wants to understand the business side of the shows we love to watch." "In the fast-changing environment of the television business, it’s never been more important to understand how things are, how they used to be, and where they are going next. This book covers all you need to truly grasp the business of making great TV." "With The Business of Television, Ken Basin has created a powerful tool for people of all levels of experience in the television business. In an industry where the rules are being re-written daily, Ken has found a clear through-line that delivers a foundation of knowledge that you can use to jump in and begin to re-write the rules yourself." "This book would not make a good TV show. It is, however, about as comprehensive and readable a guide to how television gets made as you can find. I'll admit, after over a quarter of a century in the business, there are things in here I didn’t know. With an insider’s perspective and a lawyer’s clarity, Ken Basin lays it all out (even the technical stuff). It is an essential reference book, both dictionary and encyclopedia, for anyone interested in the serious business of television." "A masterful job! Basin provides a readable and comprehensive guide to the uninitiated, while offering knowledgeable insiders a valuable and incisive analysis of this ever-evolving industry." "EVERYONE hates Business Affairs people - but NO ONE hates Ken Basin. That's because he's smart, honest, and helpful, and because he behaves with honor. Turns out, he writes that way, too. I thank him for explaining the future to me." "As a practicing lawyer, producer and now professor teaching film artists, this book is a wonderful combination of real workplace knowledge with an understanding of how the television industry functions; an accessible and brilliant book." "I never knew how much of the television business I didn’t know until I read this book! This is THE comprehensive how-to manual on the business." —Jamie Erlicht, Head of Worldwide Video Programming, Apple Inc.
"In The Business of Television, Ken has found a way to encapsulate the knowledge that has taken me 40 years in the industry to learn. If every producer, manager, agent and lawyer in our industry took the time to read Ken’s book and really invest in understanding each step in the process of making a great TV show, we could all save a lot of time and pain." "Ken Basin has a talent for explaining the TV industry in a way that makes sense to lawyers and laypeople alike. The Business of Television is the essential reference guide for creative professionals." "It takes a keen analytic mind and experienced dealmaker like Ken Basin to craft this indispensable guide to anyone looking to navigate the increasingly-complicated world of TV production." Ken Basin currently works as Executive Vice President, Business Affairs at Paramount Television, where he is responsible for dealmaking with talent, producers, and licensees in support of Paramount's broad slate of premium original television programming. Prior to joining Paramount, Ken served as Vice President, U.S. Business Affairs for Sony Pictures Television, and before that, Co-Head of Business Affairs for Amazon Studios. Ken is also a published scholar, as well as a long-time speaker and commentator, on entertainment and intellectual property legal matters. Since 2014, he has been a Lecturer on Law at Harvard Law School, where he teaches Entertainment and Media Law, and has previously served as an Adjunct Professor at UCLA School of Law (teaching Television Law) and Southwestern Law School (teaching Motion Picture Production Law).